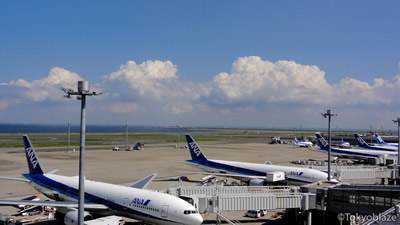 Haneda Airport or Tokyo International Airport as it is officially known, is an airport that serves the Tokyo area. It is significantly closer to Tokyo than Narita Airport, which is where most international flights bound for Tokyo are handled. There has been an expansion in the number and destinations of international flights to and from Haneda with the completion of a new international terminal in 2010. Haneda Airport can be accessed easily by the Keikyu Airport Line or by Tokyo Monorail. Both lines can reach the central Tokyo area(Shinagawa, Hamamatsucho) within 30 minutes. Both lines stop operating by midnight so be sure to check the arrival time of your flight if you plan to use this mode of transportation. Although a little expensive, taxis will get you wherever you want to go. A ride to central Tokyo may cost around 7000 yen. A slight difference in price may occur depending on how congested the trafffic is(how long the ride takes).